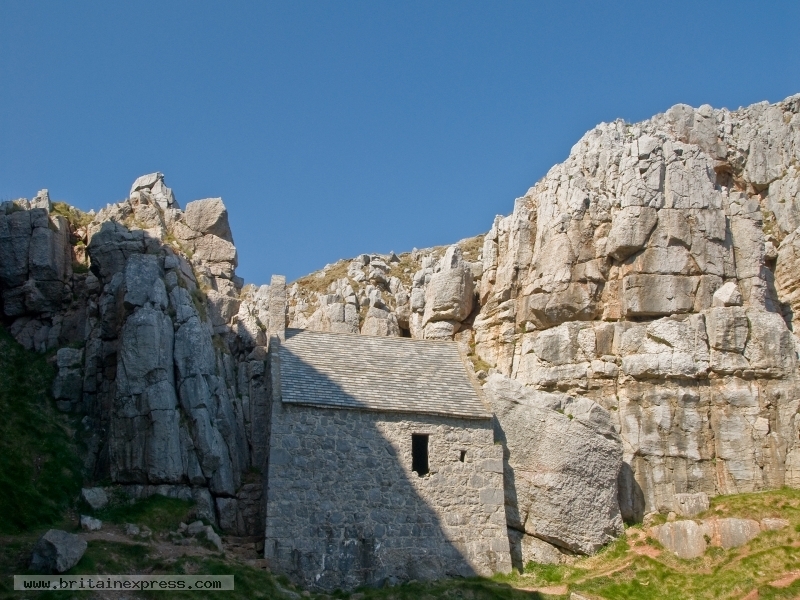 St. Govan was a 6th century hermit who established a cell for himself in a lonely location tucked into the cliffs on the south Pembrokeshire coast, south of Bosherton. The story goes that Govan hid in a rocky fissure of the cliff to escape from pirates, and founded his cell there when his ruse was successful. The original cell was rebuilt as a small chapel in the 13th century, which can only be reached by way of 52 stone steps from clifftop.